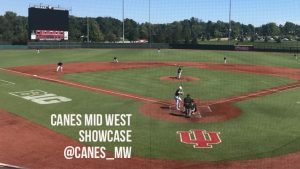 The Canes Midwest organization held a showcase at The Bart this Sunday and their 15U, 16U, and 17U teams played against teams from the St. Louis Pirates organization. 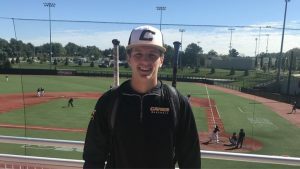 Future Hoosier Josh Pyne threw 2 scoreless innings with 4 strikeouts against St. Louis. In between his innings on the mound he added an RBI double off the wall. He seemed confident, had a plan and was keeping the hitters off balance. I look forward to seeing more highlights from Josh at The Bart in the future. Pyne is a Sophomore at Linton High School. His teammate on Linton, Junior Kip Fougerousse, is also a Future Hoosier. 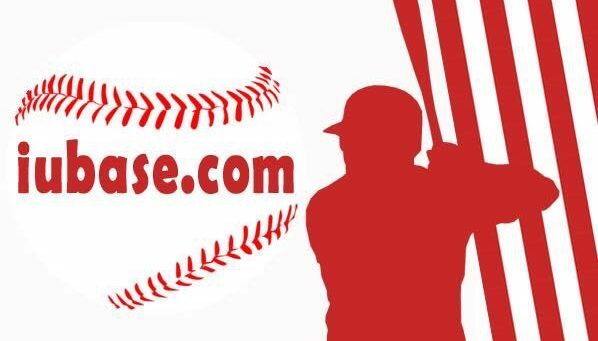 You can follow Linton High School Baseball on Twitter here. They do a great job with updates. Pitchers Zach Behrmann from North Central and Cooper Clark from Columbus North were also at the showcase. Zach threw two scoreless innings giving up just 1 hit. That 8am start prevented any video highlights of his work on the mound. Clark did not get a chance to take the mound. Getting a chance to meet both briefly, I can tell you their listed heights (6’4’’ and 6’6’’) are every bit true. 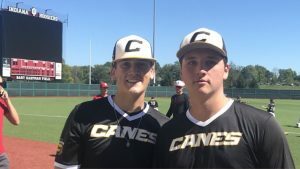 Only Juniors in high school now, these two are going to have some presence on the mound by their Freshman year in Bloomington. 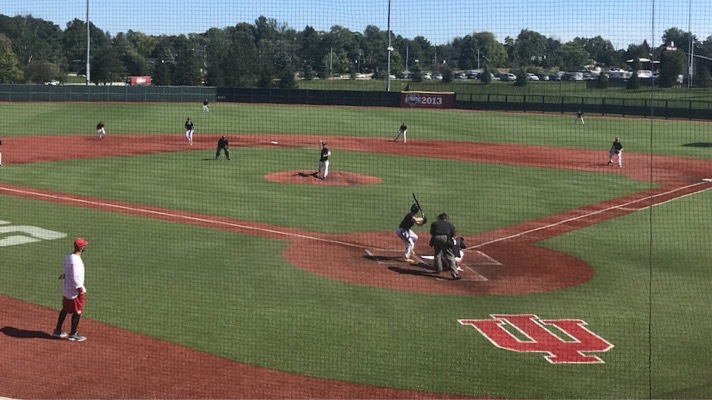 Great to see the talent in Indiana staying home and joining Hoosier Baseball. For the rest of the verbal commits currently from Indiana you can see the Staying Home Page below.